We are excited to reintroduce you to this architectural gem designed to capture the timeless beauty of Old Spanish styling. Its expansive porch awaits you and leads into a renovated home built in 1926. Gleaming wood floors, high ceilings with crown moldings, a fireplace, and the beautiful luminosity flowing through the numerous windows create a peaceful and serene atmosphere. The elegant floor plan offers a formal dining room, formal living room, and a casual family room. 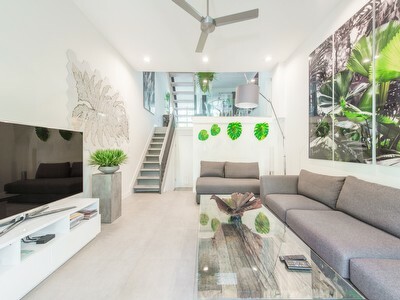 The stylish kitchen and all downstairs rooms open onto a large, manicured private backyard with a new oversized saltwater pool, a generous lounging area, and a 2-story guesthouse. This classic elegance is paired with today’s amenities: impact windows, sound system, alarm system, and a sprinkler system. 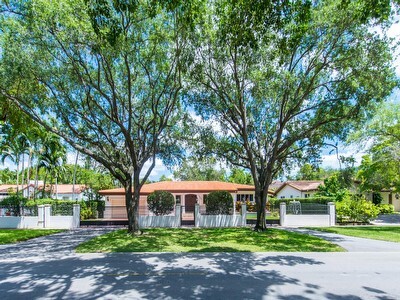 The property is located on a 10,000-Sq/Ft lot and at 312 Ridgewood Road in the Coconut Grove side of Coral Gables. It is priced at $1,350,000. The Grove has recently seen growing activity in this market with new homes being built in every section of our neighborhood. The 2015 New Construction total sales volume was $15,620,000 versus $8,756,900 in 2014, a 78% increase. The 2015 average sales price was $462 per Sq/Ft versus $384 in 2014. These numbers include the sales in the Sunrise neighborhood in Coral Gables with ZIP code 33133. We just listed a two bedroom/one bathroom house with 1,543 Sq/Ft of living area on an 8,400 Sq/Ft lot. However, we know that a picture is worth a thousand words. Call us. Our secluded canals and welcoming shores are captivating the affluent. Let’s not forget that our front yard is Biscayne Bay, a National Park, the largest marine park in the U.S.
With an amazing increase in waterfront sales of 131% over the previous year, 2 distinctive submarkets have emerged: canal front and open water. Values differ depending on whether the properties are located on the open bay or on a canal. The median sales price is $1,100 per Sq/Ft for Open Bay properties versus $680 per Sq/Ft on a canal. 134 single-family homes were available for sale in mid-January 2016 versus 138 during the same period in 2014. Across the board, median asking price is also very stable with an increase in the waterfront market. 50% of the properties available for sale at the beginning of 2016 have had at least one price reduction. Both the number of condos sold and the number fo condos available for sale have declined since the beginning of 2015. These two trends translate to an average 7.5 months of inventory, which is a sign of a healthy market. 8 units sold in 2015 versus 15 in 2014. The 2015 total volume sold was $23,165,000, a 41% decrease compared with 2014. The average sales price per Sq/Ft was $949 in 2015 versus $879 in 2014, an 8% increase. 9 units sold in 2015 versus 1 in 2014. The highest sale was $412 per Sq/Ft. It was on of our listings! The lowest price was $226 per Sq/Ft. It was a short sale. The average sold price was $343 per Sq/Ft. 19 units sold at the iconic Coconut Grove building during 2015 versus 14 in 2014. The total volume sold in 2015 was $14,302,800 compared with $13,964,500 in 2014, a 2.3% increase. What an amazing year! The Grove's beauty is seducing people from across the U.S. and the world. Recently, our neighborhood was featured in the Wall Street Journal as one of the most desirable neighborhoods in Miami. As the Bayshore Drive skyline continues to evolve, and contemporary homes keep popping up in so many of our streets, it is evident that a new real estate market is emerging. This new market is evident according to the final numbers of 2015. The yearly total sales volume amounted to $268,767,995 versus $233,496,687 in 2014, a 15% increase. From 2014 to 2015, the North and South Grove markets stayed relatively even, however, the waterfront market outperformed all other sub-neighborhoods with a total yearly sale of $66,687,500 in 2015 versus $28,810,000 in 2014, a 131% increase. 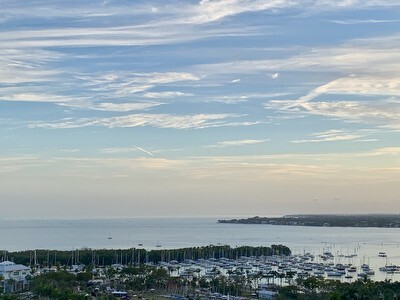 In 2015, in the resale market, 162 condo units sold in Coconut Grove, which totaled a sales volume of $106,165,700, a 20% decrease in units and a 19% decrease in total sales volume when compared with the 203 units and $132,267,408 volume sold in 2014. There is good news though, the lower inventory helps to maintain the value of our iconic buildings and the new projects on Bayshore Drive, Park Grove, and Grove at Grand Bay have had an impact on the luxury condo resale market. As with new construction for the Single-Family Home market, buyers appear to favor these new developments over established buildings. These numbers tell us that this could be the perfect moment to put your condo property on the market because of stabilized prices, low inventory, and the new projects on South Bayshore Drive, which are still unfinished. The demand for our beautiful Grove will remain strong. Thank you again for a successful 2015. We are looking forward to helping you achieve your real estate goals in this upcoming year. "Thank you to both of you! We have really appreciated all of your efforts and hard work throughout this process. As first time homebuyers it was a bit nerve racking and exciting but you both made sure we were well represented and informed. Look forward to future business." The purchase was closed in January 2016.